Teenage sensation Drew Kemp says Sheffield’s opening meeting of the season will be the toughest of his short career. Kemp, 16, has joined Tigers for his first full season of Championship racing and he will appear in the club’s 90th anniversary meeting on Sunday week, March 24 (4pm). 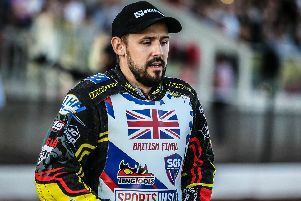 He’ll be up against Premiership stars Erik Riss, David Bellego, Rory Schlein and Steve Worrall and all seven of the Tigers team are included in the plum individual event. Said Kemp: “I’m really excited about the new season and really excited about moving to Sheffield. “I’m counting down the days now but I know how tough the first meeting is going to be, I’m realistic about it. You only have to look down the line-up and see the quality of the riders to realise how tough it’s going to be for me. Kemp, like many others, is backing the Sheffield team for success in the coming months. “You only have to look at the team the management have put together and it’s exciting,” he said. “I’m looking forward to riding with great guys like Danny King and Kyle Howarth, they’ve got plenty of experience now and I’m sure I can benefit from riding with them. 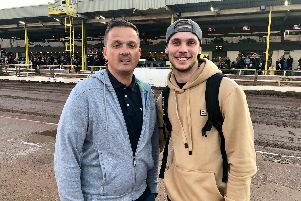 Riss and former Tigers favourite Josh Auty were the latest additions to the line-up on Tuesday – and Rory Schlein has stepped in for Josh Grajczonek who has been called back to Poland by his club for pre-season testing. “Josh was gutted when he told us because he was so looking forward to it, but these things happen and are understandable,” said Sheffield co-promoter Damien Bates. LINE-UP: Kasper Andersen, David Bellego, Ryan Douglas, Rory Schlein, Kyle Howarth, Drew Kemp, Zaine Kennedy, Lewis Kerr, Danny King, Todd Kurtz, Simon Lambert, Broc Nicol, Ty Proctor, Steve Worrall, Josh Auty, Erik Riss. Reserves: Kyle Bickley, Josh McDonald.